Chocolate in all its diverse forms must rank as one of the greatest pleasures in life. Its glorious aroma and appearance, whether decorating an elaborate gfteau, poured over ice cream or baked in biscuits, set the tastebuds tingling even before the first melting mouthful. 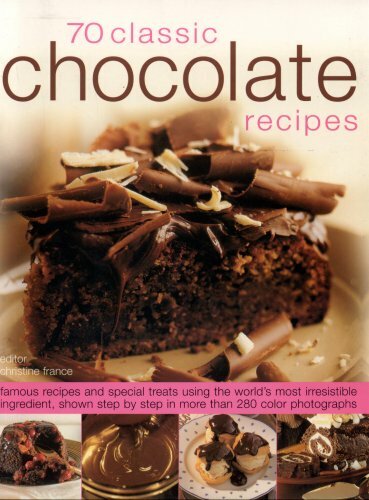 This superb collection of over 70 chocolate treats is every chocoholic's perfect dream.